I have not actually spent any significant time in Delaware. At most, I’ve driven through a portion. So, if you’ve been there, tell me something fun to do in Delaware. 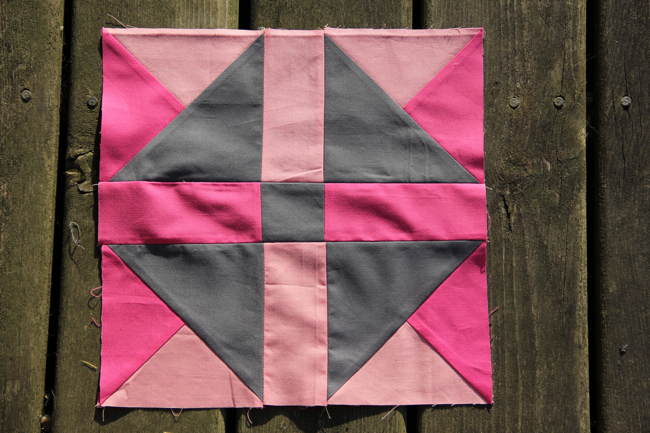 This block is pretty straight forward and should come together really easily for you. 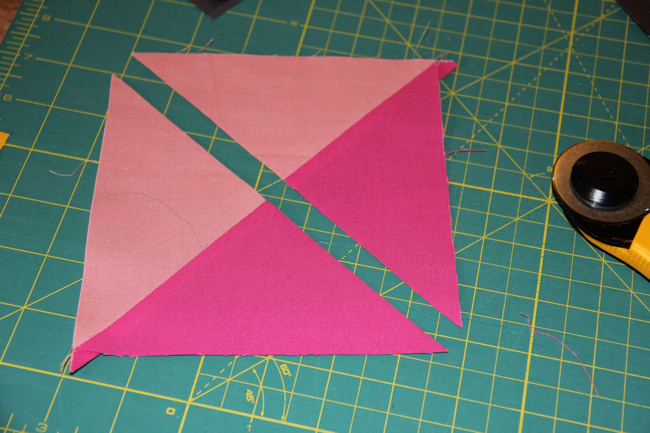 Create half square triangles from the 6.25 inch squares. Place the fabric right sides together. Draw a diagonal line from corner to corner. Sew a line 1/4 inch to each side of the drawn line. Cut the square apart on the drawn line. Iron open. For instructions with photos, go back to the Maryland tutorial. 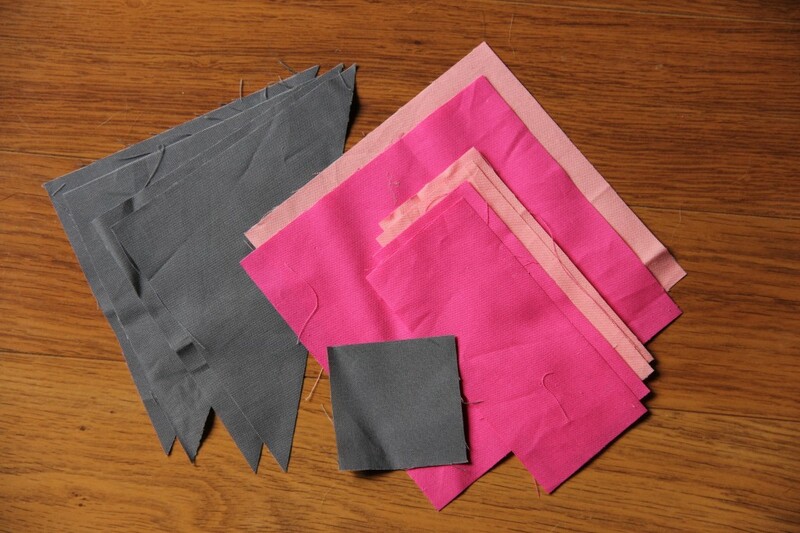 When you’ve finished the HSTs, cut them apart on the diagonal through both fabrics as shown below. 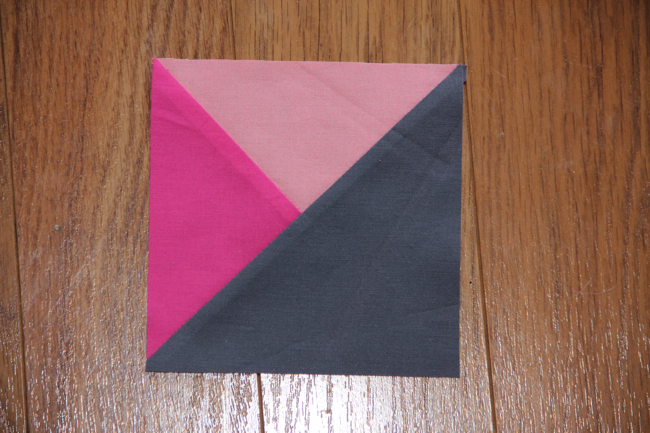 Place each 2-color triangle right sides together with one of the triangles of background fabric and sew along the long edge. Iron open. Trim this piece to 5.5 inches. 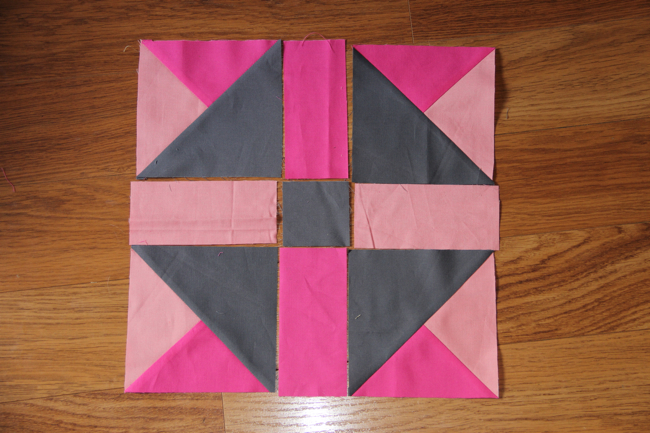 From here, it’s just laying out the remaining pieces of the block and sewing them together. Easy! 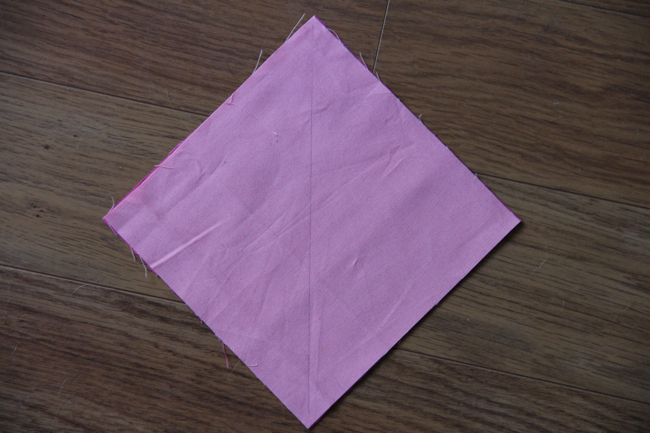 But remember to sew the pieces together so your background HSTs all point to the center? See that line at the top of this block: that’s where I sewed the last row on upside down. The seam ripper is my most important sewing tool! Oh, I really like this block and I’m looking forward to making 4 of them so I can see what it will look like.